By the grace of God, we strive to live in a praying and fasted lifestyle for breakthroughs in intimacy and intercession. Our theological backbone is founded upon the Reformed Traditions. To value the God of the Word and the Word of God are our highest priorities in life. Believing for another Jesus Movement in America: 80 million souls saved! Believing for Pentecost again; not simply a localized outpouring but a general outpouring. Believing for the best and brightest to go to the hardest and darkest with the Gospel. Believing for the salvation and the deliverance of 100,000 Rainbow People. Believing for stadiums to be filled with signs and wonders and the preaching of the Gospel. Trinity. We believe that the one true God exists eternally in three persons—Father, Son, and Holy Spirit—and that these, being one God, are equal in deity, power, and glory. Divinity of Christ. We believe that Jesus Christ is God incarnate, fully God and fully man; that He was conceived and born of a virgin, lived a sinless life, and offered Himself as a penal, substitutionary sacrifice for sinners. By His blood shed at the cross, He obtained for us eternal redemption, the forgiveness of sins and life everlasting. He was raised bodily on the third day and ascended to the right hand of the Father, there to make intercession for the saints forever. Holy Spirit. We believe that the Lord Jesus Christ baptizes believers in the Holy Spirit, in whom we are also sealed for the day of redemption. The Holy Spirit regenerates, forever indwells, and graciously equips the Christian for godly living and service. Subsequent to conversion, the Spirit desires to fill, empower, and anoint believers for ministry and witness. Fall of Man. We believe that Adam was originally created in the image of God, righteous and without sin. 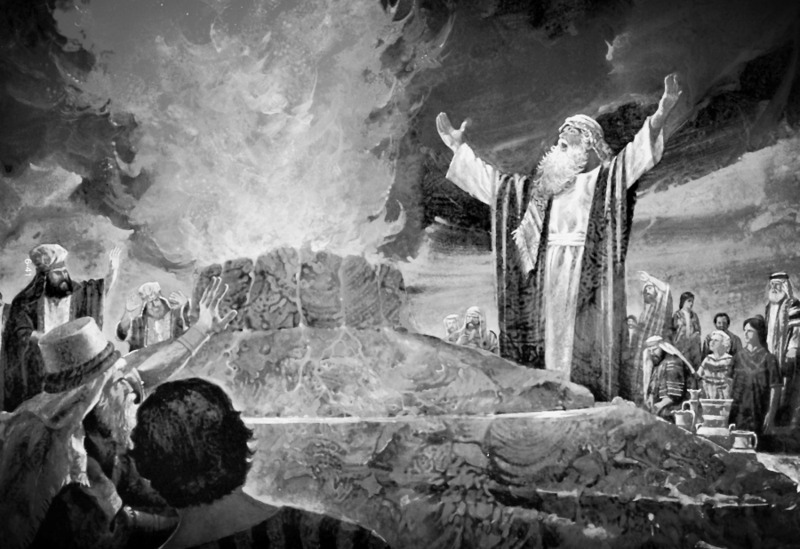 As a consequence of his disobedience, Adam’s posterity is born subject to both imputed and inherent sin, and all humans are therefore by nature and choice the children of wrath, justly condemned in the sight of God, wholly unable to save themselves or to contribute in any way to their acceptance with God. Salvation. We believe that thus salvation is by grace alone, through faith alone, in Christ alone. No ordinance, ritual, work or any other activity on the part of man is required or accepted in order to be saved. 2nd Coming of Christ (Resurrection of the Dead). We believe in the Blessed Hope, which is the glorious visible return of our Lord Jesus Christ for His overcoming bride – His church. Heaven and hell are real places. There will be a resurrection of the saved and the lost, the one to everlasting life and the other to everlasting death. The Bible. We believe that only the sixty-six books of the Bible are the inspired and, therefore, inerrant Word of God. The Bible is the final authority for all we believe and how we are to live. We honor and adhere to the doctrinal convictions of the great reformers who came before us. Our ultimate authority, like theirs, is the Holy Scriptures. However, we as a family unashamedly do uphold the great truths that these men and women defended and fought for. It is not a blind allegiance, for we endeavor to test all things to the Word of God. However, on our personal theological journey we have found that the Reformed Tradition has faithfully and majestically proclaimed and defended the Gospel of the glory of Jesus Christ. With great clarity and reverence, the Reformed Tradition has sought to articulate the eternal doctrines of Grace and the whole counsel of God. We are indebted to great teachers in our generation, and generations past. Along with our allegiance to the orthodox faith, we are also strongly and unabashedly convicted that the Holy Spirit moves in power today. Moreover, we vigorously defend that God speaks primarily through His objective revelation, the Holy Scriptures. However, we also believe that God also speaks through subjective means (such as prophecy, dreams, visions, impressions) and measures (such as signs, wonders, and miracles) (Joel 2, Acts 2-3). We believe that the spiritual gifts have been given for the comfort, edification, and exhortation of the Church (1 Cor. 12-14), and that they are active today. We encourage, activate, and practice these gifting according to the leading of the Holy Spirit. In addition, we uphold that God desires and does move through healing, signs, wonder, and miracles to reveal His glory and purposes on the earth (Acts 2-3, 1 Cor. 12-14, 1 Cor. 2). Finally, we believe all these things will increase in measure as the Church reaches the fullness of the maturity of the Son of God, and as God demonstrates through His Church the glory of Jesus Christ (Eph. 4, John 14:12). We are convicted that the End Times Church will walk in greater power and purity to display the majesty of God. "I met David Kim on the Purple Pig Tour in 2010, and witnessed firsthand how God marked his life in those days. In the past several years that I have known him, I have seen him grown and develop as a young leader in his generation. He has carried and communicated the heart and vision of the Purple Pig and Robert Wilder to his generation faithfully in these past years. I endorse not only him but also this School of Intercession, where young people can be trained up with vision to reach the hardest and darkest, starting with their campuses and cities, from the place of prayer. May the legacy of the Purple Pig continue!" "David and Audry are two of the most tried and true young leaders in the prayer movement that I know of, and know personally. They have spent countless hours studying, learning, and searching out how to pray and fast from the Scriptures, from other critical and historical texts on the subject, and firsthand from many of the fathers and mothers of the prayer movement. They have lived, breathed, and bled prayer and fasting for many years, and I have seen, firsthand, the incredible and genuine fruit of their lives, on the altar of prayer and fasting, on their campuses and for their generation. I cannot speak highly enough of these two, and I strongly urge you to come and receive and learn from them, and to build relationship with them, as well! I can say with certainty, that this will be one of the most life-changing three days of your life!"